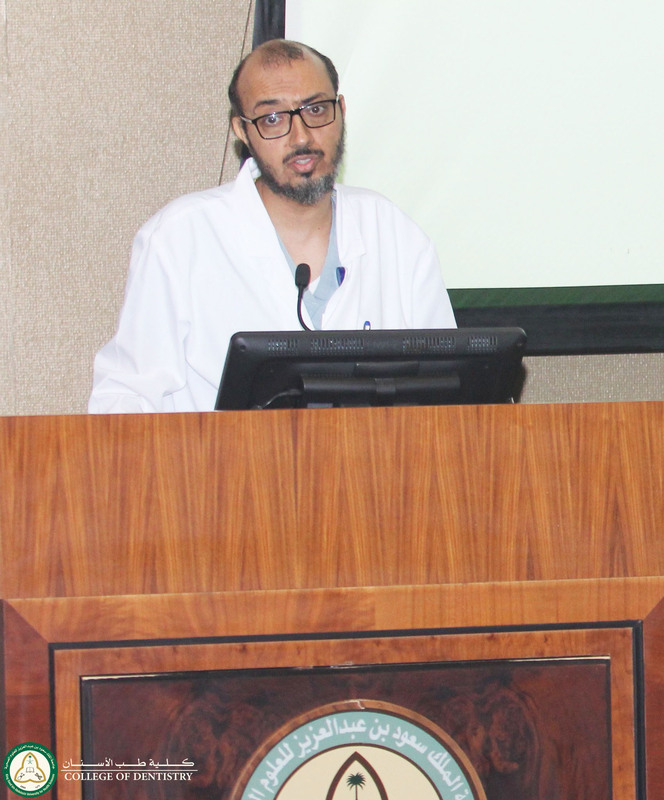 Aesthetic Consideration in Diagnosis and Treatment Planning for Anterior Restoration workshop by Dr. Tariq Alsuwaid. 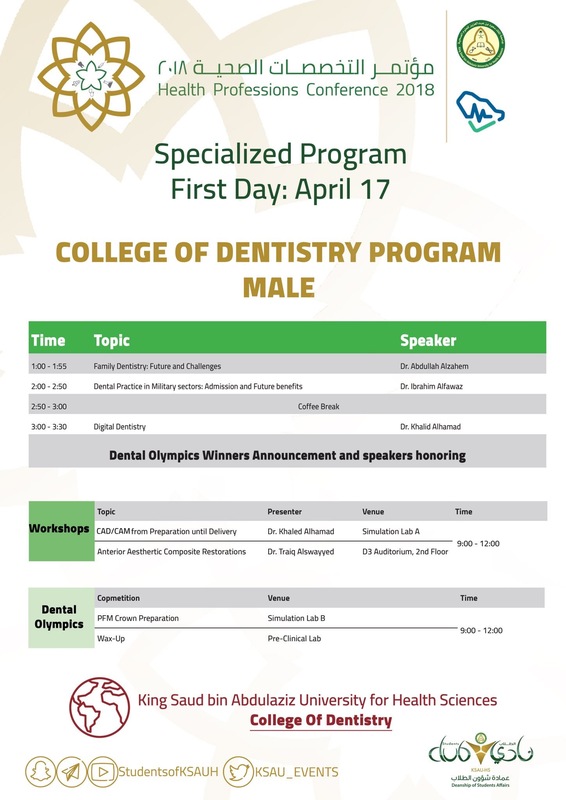 CAD/CAM workshop by Dr. Khalid Alhamad. Family Dentistry: Future and Challenges lecture by Dr. Abdullah Alzahim. 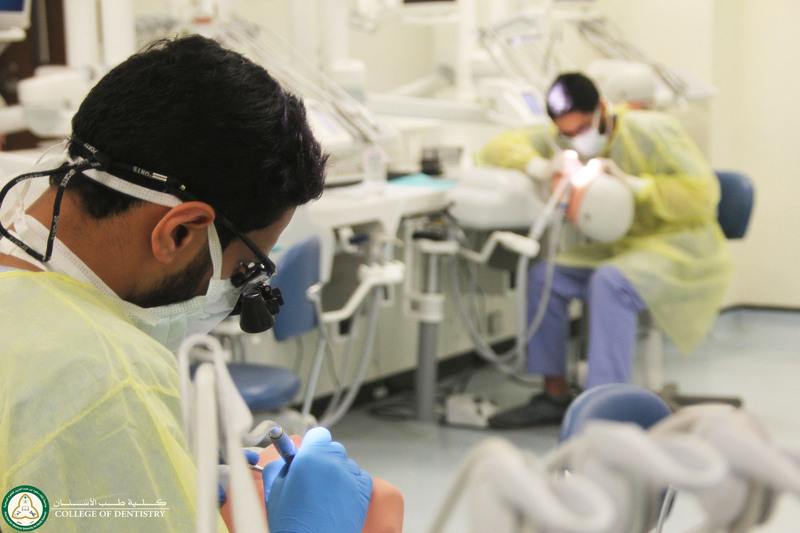 Practicing Medical Dentistry in Military lecture by Dr. Ebrahim Alfawwaz. 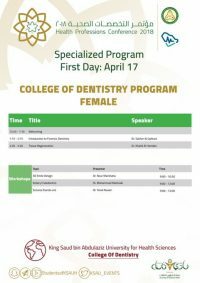 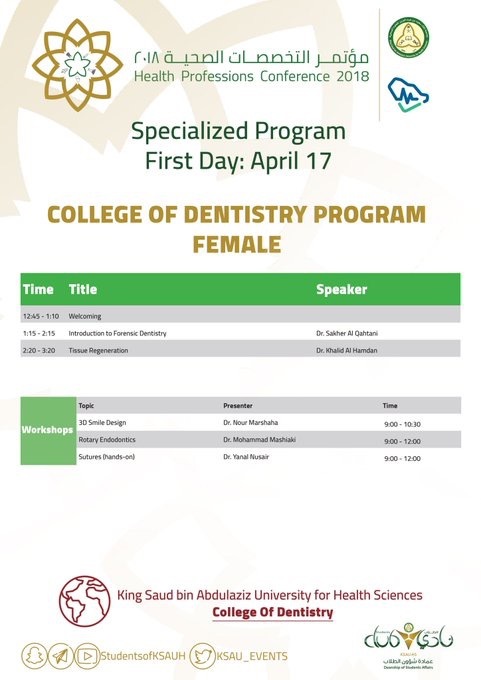 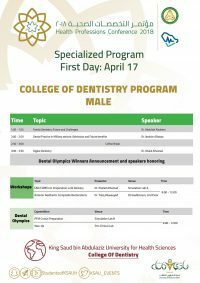 Digital Dentistry lecture by Dr. khalid Alhamad. 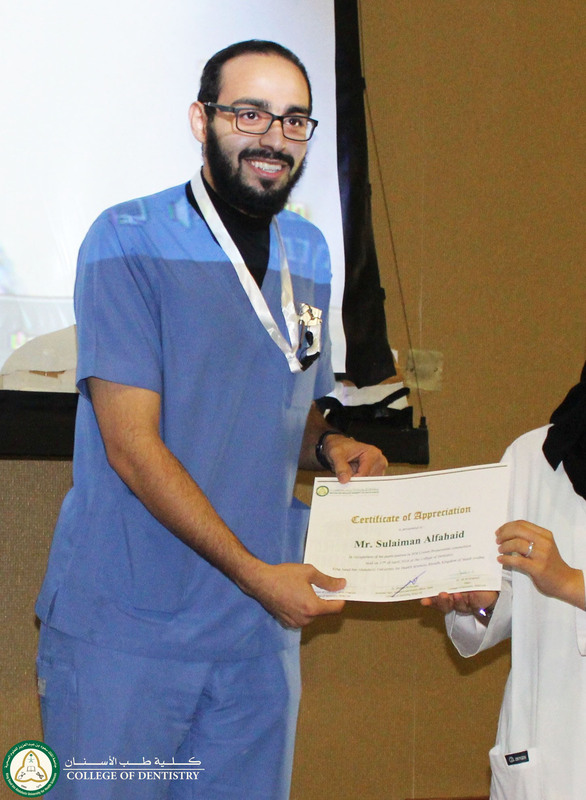 Ranking 1st place in poster presentation by student Dr. Ruba Alhudaires. 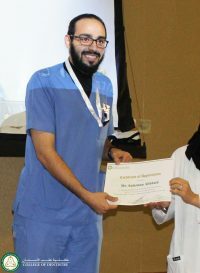 Ranking 7th place in poster presentation by student Dr. Abdulmajeed Alturki. 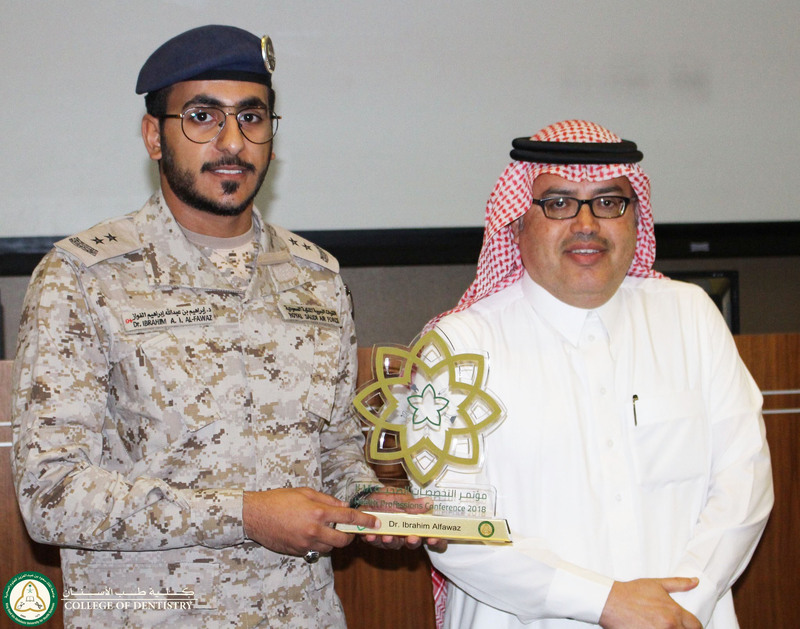 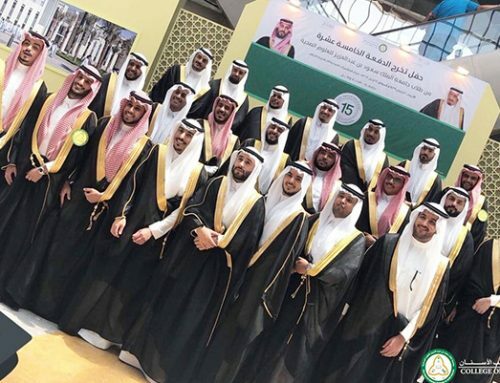 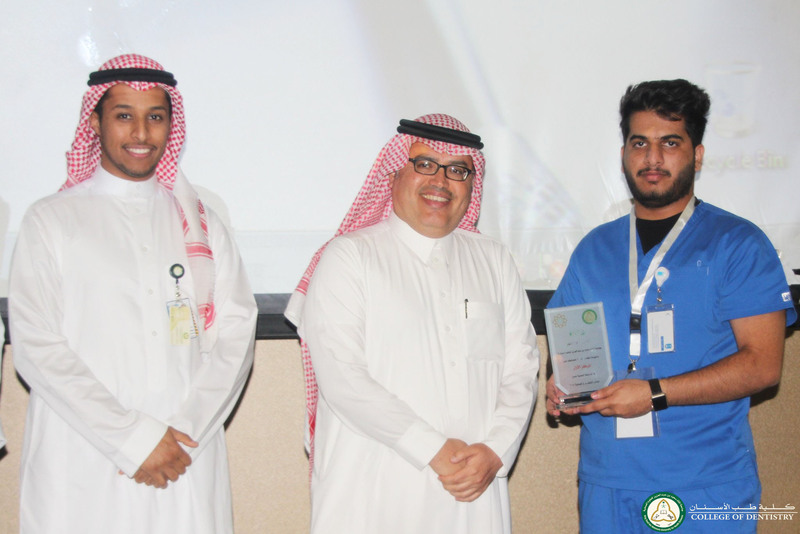 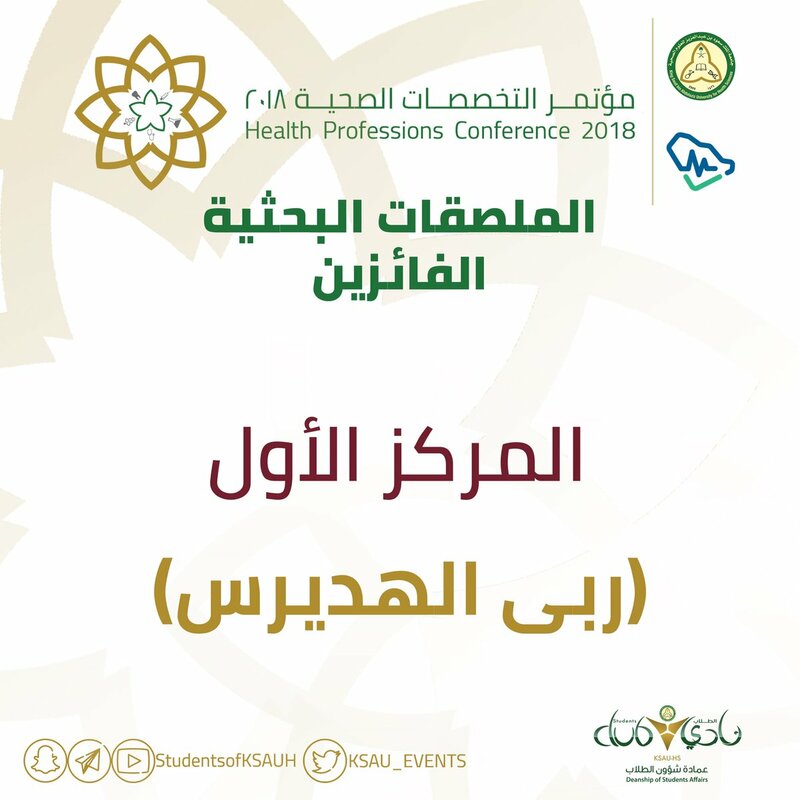 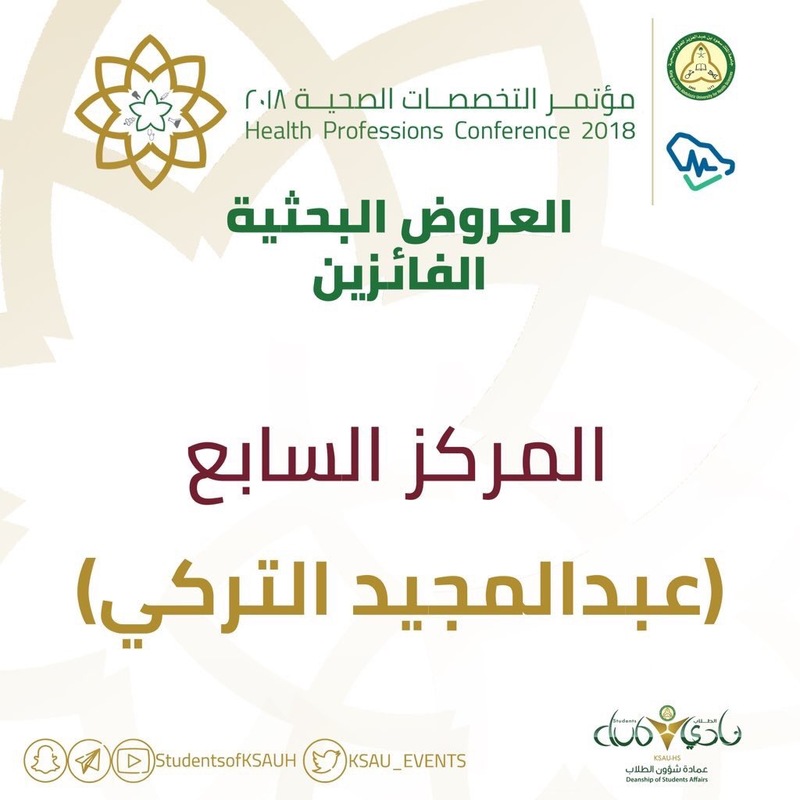 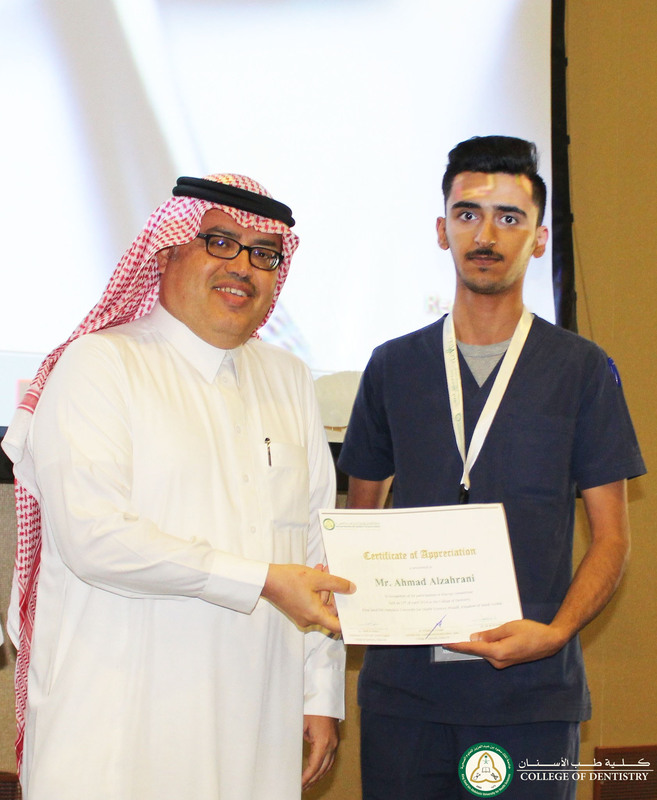 Honoring and appreciating winners and participants by Dr. Khalid Alfouzan.